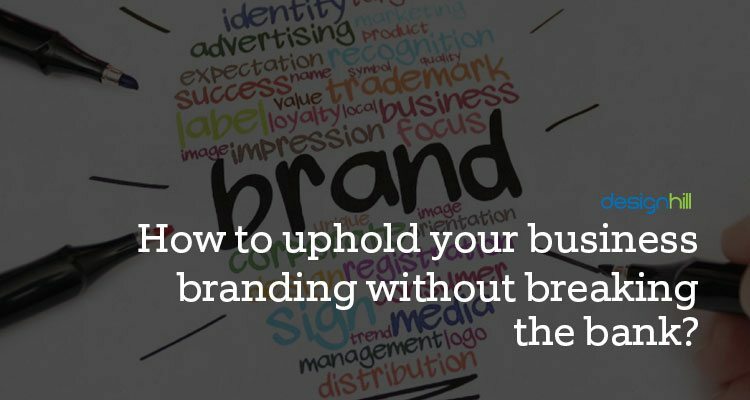 How to uphold your business branding without breaking the bank? Can any business survive in today’s highly competitive market without a strong brand? Staying in the minds of customers is one of the biggest challenges small businesses are facing. Brand building is the bottom line of every marketing activity helping the businesses get recognized by the customers in a huge crowd of competitors. Businesses invest in several marketing channels and strategies to elevate their business branding. Investing in traditional channels like television, newspapers, magazines and radio most of the time goes out of the budget for small-scale enterprises. So what is the solution? Should small businesses with limited budget manage with the limited promotion and reputation in the market?Thanks to the easy access to the internet and digital tools, elevating brand without breaking the bank is now possible for the organizations with a limited budget. Here are some tactics to promote your business and reach out to the target audience without spending a fortune. Running contests to encourage users to make efforts for you. It is an effective technique to make people aware of your brand. One can run multiple type of contests such as designing contest , wrting contest etc. Furthermore, you also get original and unique logo designs, content as every individual has different writing style, thought process and ideas. Another benefit of running such contest is the hike in number of likes and shares. When individuals see their content published online, they share it on their social channels. Social media channels including Facebook, Twitter, Instagram, LinkedIn, Pinterest, Tumblr and Google Plus are the best free marketing tool. All you need is to create a profile on the suitable channels, post engaging content and engage with the audience through comments. A unique and creative logo is the representative of your brand in the market. For instance, if you see five different cars on the road, how do you recognize their brand? Yes, by looking at their logo. So get a unique logo design that is easy to remember and relates to your brand. A well designed logo contributes a big part in turning a business into a brand. Guest blogging helps you reach out to a wider audience. By writing guest blogs for a well-established blogger or brand, you get an opportunity to impress their audience and drive them towards your website. Just make sure you pick a popular blog with a large number of followers and high authority. If you are given content and an infographic, what would you prefer more? It would definitely be an infographic. As per a survey, around 80% online visitors like to see images and videos over lengthy content. You can hold the attention of the customers and can stay in their mind by offering them impressive images and videos. Marketing your businesses is no doubt an expensive process, but by playing wise and picking the channels carefully you can easily save money. Try these tools and get ready for a more popular brand without breaking your bank.